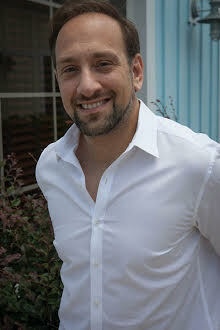 Alex Scopino - Black Tie Real Estate & Investments, Inc.
As former Vice President of Real Estate Sales for another local brokerage, Alex is a full service Real Estate Advisor and agent, A specializing in The Villages and surrounding areas of Lake, Marion and Sumter Counties. Alex has the training and experience in both marketing and negotiation to confidently guide clients through the most complicated transactions. A Best of Trulia 2014 and 2015 award winner, Multi Million Dollar award winner and winner of The National Association of Realtors award for most creative marketing campaign in 2014 and 2015 Alex has firmly established himself as the market expert in the central Florida. A New York native Alex holds a B.F.A from Purchase College and a Masters from Binghamton University. Having been a professional Opera Singer in his previous career, Alex is a very active member of the performing arts community in The Villages. He can frequently be seen at Savannah and many other recreation centers. Known for his outgoing personality, attention to detail and creative thinking, Alex has quickly become one of the most sought after agents in the area.